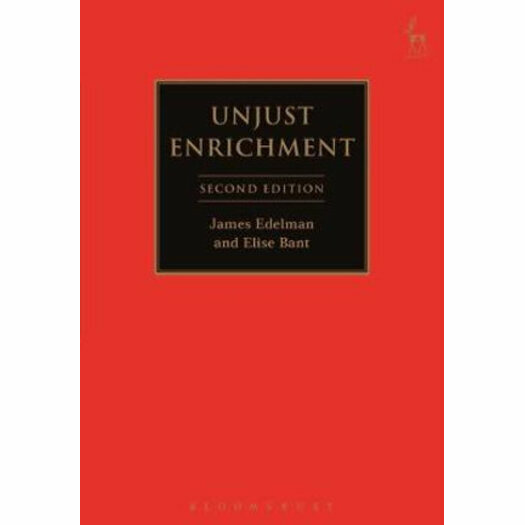 Unjust enrichment is one of the least understood of the major branches of private law. This book builds on the 2006 work by the same authors, which examined the developing law of unjust enrichment in Australia. The refinement of the authors' thinking, responding to novel issues and circumstances that have arisen in the maturing case law, has required many chapters of the book to be completely rewritten. The scope of the book is also much broader. It concerns the principles of the law of unjust enrichment in Australia, New Zealand, England and Canada. Major decisions of the highest courts of these jurisdictions in the last decade provide a fertile basis for examining the underlying principles and foundations of this subject. The book uses the leading cases, particularly in England and Australia, to distil and explain the fundamental principles of this branch of private law. The cases discussed are current as of 1 May 2016 although the most recent could only be included in footnotes.